While the memories we make around the dinner table have more to do with spending time together than anything, a delicious home-cooked family meal always helps get the good times going. 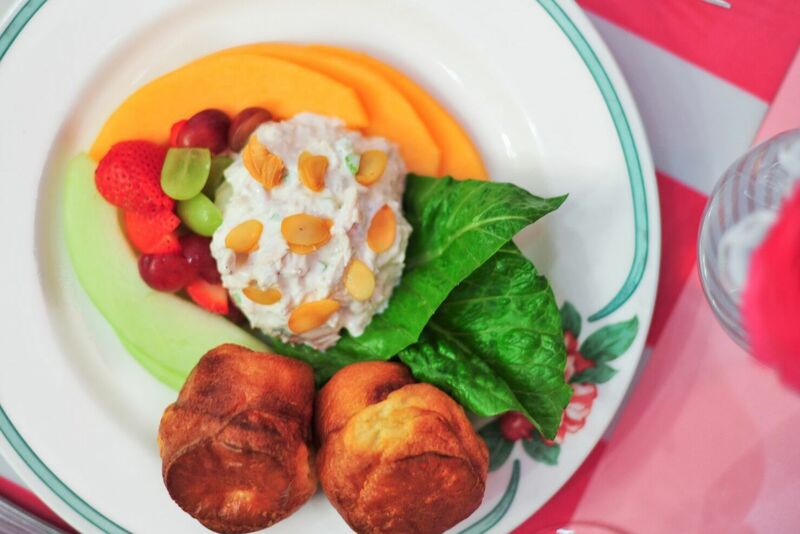 To us, the best family dinner ideas start with our most comforting Southern food, but keep in mind busy weeknights and the need for hearty, kid-friendly options. We rounded up our most loved and most requested family dinner recipes that will make any night around your supper table a special one. 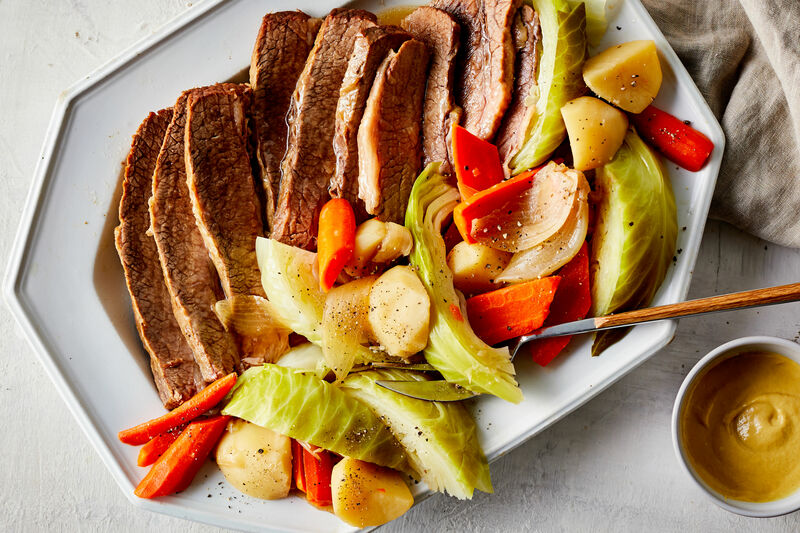 With these filling casseroles, slow cooker dishes, and savory roasts, you’ll be set up with an impressive lineup of deliciously easy family meals. A hearty Italian dish like this can take on a family full of hungry people without a blink! You can fix and freeze this cheesy pasta bake ahead of time to have on hand for any weeknight. We can’t deny that classic turkey tetrazzini is a family dinner staple, but this freshened-up version uses loads of spinach, mushrooms, and buttery garlic-and-herb cheese. Everyone knows the golden flaky crust is half the reason, if not more, that chicken pot pie is so amazing. So we decided to double it up! These pot pies are flaky on the outside and warm and creamy on the inside. You bake this tenderloin in the sweet-savory mixture of peach preserves, Dijon mustard, crushed red pepper, and a dash of bourbon for finishing glaze that’s just too good. This recipe is one of our favorite roasting-pan suppers of all time. The bold lemon-rosemary-garlic trio gives the juicy chicken and hearty potatoes the most epic flavor. Serve with crusty French bread to soak up any juices! This old-school casserole never disappoints, but we especially love this delicious version with fresh broccoli and mushrooms—and without even a dollop of creamy canned soup! This mac and cheese elevates your basic recipe using thick-cut bacon, Gruyere and aged Cheddar cheeses, leeks, and dry mustard. This filling dish goes well by itself, but you can serve it with roasted chicken for extra oomph! Whoever thought of cornbread dumplings first should receive a gold medal because it seriously switched up our chicken-and-dumpling game! This recipe is a classic comfort food with a fun Southern twist. Homemade jambalaya never fails to deliver its signature Creole flair, and this recipe is so popular because it’s easy to make, full of delicious ingredients, and comes together in less than an hour! This brothy stew is packed full of smoked sausage, chopped turnips, and white beans for a filling, warm soup to savor any night. A creamy filling of buttery sautéed collards, shredded chicken, and Monterey Jack cheese fills these corn tortillas that are then topped with a green chile sauce and more cheese. Need we say more? While beef tips are so classically Southern, this recipe goes even further by giving incredibly tender sirloin with savory sauce and fresh mushrooms, all cooked in your trusty slow cooker! What we love about this cobbler is that you can throw in just about any frozen vegetables you have on hand, switch up the protein from cubed ham to chicken or turkey, and bring it all together underneath a flaky, buttery pie crust. This sauce is our secret to winning the weeknight dinner. Chopped, sweet Italian sausage makes this a great, bold sauce, and crisp pancetta brings the perfect salty crunch to each bite. Make a huge batch to pair with anything you’d like all week long! This chicken dish might look fancy and involved, but you can have it done in half an hour. Lemon juice, capers, and parsley add crisp flavor to the buttery pan-cooked chicken. This triggerfish gets amazing smoky flavor through grilling, while the strawberry-blueberry relish adds the perfect fresh complement. This easy slow cooker recipe is our go-to for any fiesta night. 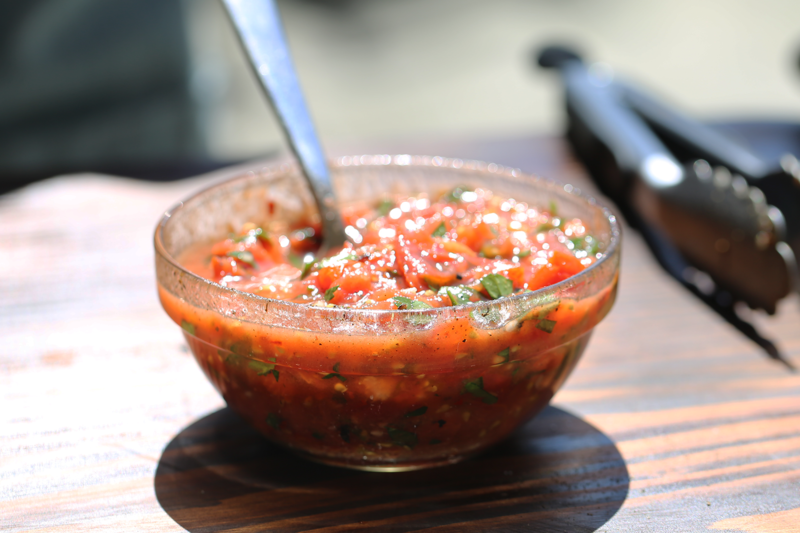 The fresh tomato salsa gives a cool, refreshing touch on top of the melt-in-your-mouth pork tacos. This family-style recipe makes a hearty haul, which means you can save leftovers and savor it again later after the flavors have melded even more. We smother this chicken in a savory sauce of paprika, thyme, garlic, butter, and cream of mushroom soup with tender onions and mushrooms for a mouthwatering dish to spoon over wide egg noodles. The trio of apples, sauerkraut, and bacon or pancetta creates the perfect sweet, tangy, and salty combination to accompany this savory pork. This Southern staple will bestow good luck on New Year’s Day, as it’s packed with black-eyed peas and collard greens! Smoked turkey wings, country ham, and an array of aromatics make this soup overflow with flavor. Serve over rice topped with our favorite Cornbread Croutons. Budget-friendly flank steak, potatoes, and kale make up this delicious sheet pan supper that will get your busy weeknight handled quick and easy! You can have this easy sheet pan supper ready in less than half an hour without sacrificing an ounce of the sweet and savory flavor. You can’t beat this slow-cooked chicken’s sweet and savory flavor that comes from a delicious glaze made of honey, apricot brandy (and apricots), and Dijon mustard. Smoked chicken stands out in this soup with its rich, smoky flavor, while the addition of rice, zucchini, and squash makes it filling enough for a main dish. A finishing touch of lime juice and avocado gives a burst of freshness. This delicious take on everyone’s favorite fried rice, ready in just 15 short minutes, is about as easy as it gets. Test kitchen tip: Fried rice is best when made with cooled, day-old rice, which is drier and less sticky. An amazing blend of charred chicken, smoked Andouille sausage, tomatoes, okra, onion, and bell pepper makes up this fan-favorite dinner. Serve over rice and with some hot sauce sprinkled on top! Bacon, potatoes, and onions add so much flavor and texture to this brightly-hued corn chowder. You can let this soup come together in the slow cooker! Toasted couscous and grilled chicken give a welcome, warm heartiness to this dinner salad. We replaced your usual leafy greens with light arugula, letting the asparagus shine.